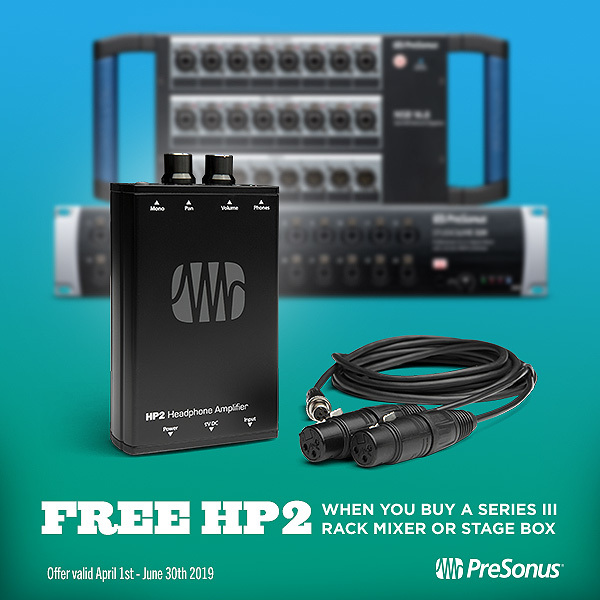 The PreSonus HP2 stereo personal headphone amplifier is designed for driving wired in-ear monitors and headphones. Compact and portable, the HP2 offers two line-level XLR inputs and one stereo 1/8″ headphone out with volume control. Operation can be switched between stereo and mono, and a Pan knob is supplied. Power the HP2 with an external DC power supply or a 9-volt battery that lasts up to seven hours and includes an LED indicator.